Wheeee!! 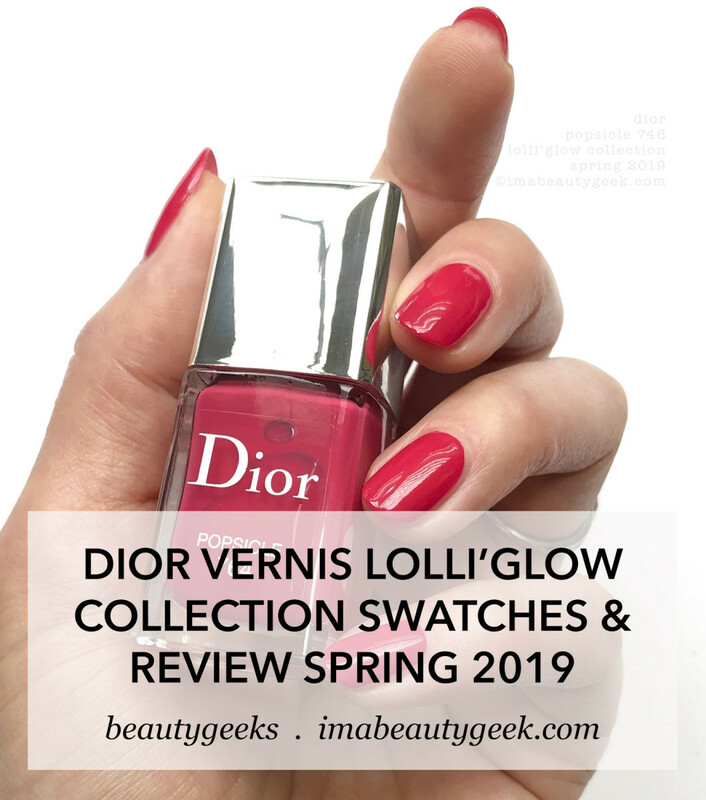 It’s me and the Dior Lolli’Glow Vernis Collection for Spring 2019! From the range, 3 of the 4 shades (poor Bubblegum 774 didn’t make it in) landed on my desk, and they’re all crazy good! 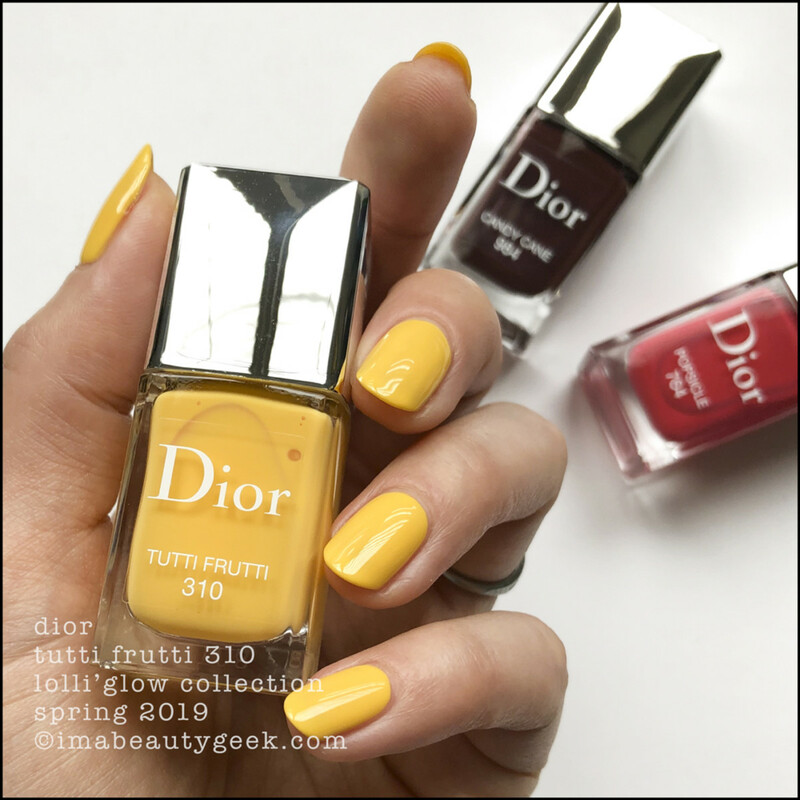 Dior Vernis Tutti Frutti 310 – Dior Lolli’Glow Spring 2019 (above). My notes for Dior nail polishes are always so short that when I sit here and try to write stuff, all that’s written in my book is “3 coats no TC.” I know. But that’s still pretty helpful, ain’t it? 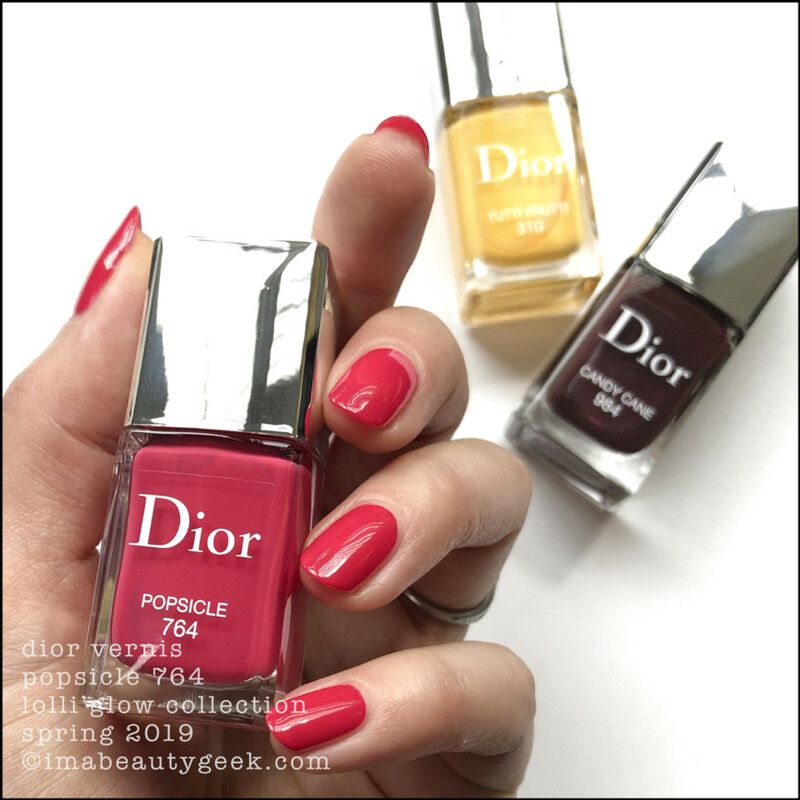 Dior Vernis Popsicle 764 – Dior Lolli’Glow Spring 2019 (above). I wrote more stuff here! It says this is 2 coats with zero top coat. Lookit dat shine! 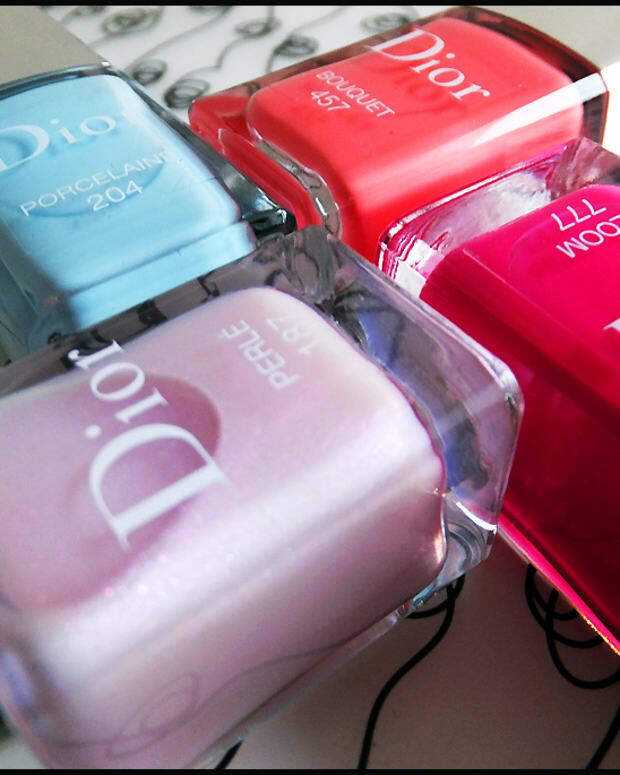 Man, I love Dior polishes. The brushes are the best of all the brushes. Their formulas are the best of all the formulas. Dior is consistently fabulous. 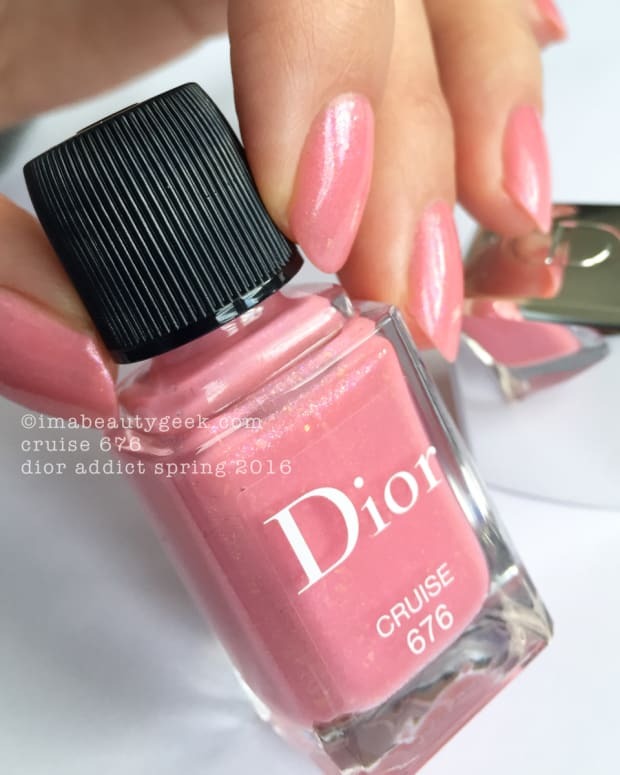 Dior Vernis Candy Cane 984 – Dior Lolli’Glow Spring 2019 (above). And finally, this not-so-spring shade of gorgeous that’s apparently “sugar cane brown.” Again, 2 insanely fast coats and zero top coat. Oh! I gotta mention that this Spring 2019 Collection dries down scented! I can’t really discern what the fragrance is, but I can tell you that it’s not sugary sweet and it’s not particularly floral. I’m not generally a lover of the scented polishes, but, weirdly, this one doesn’t bug me. 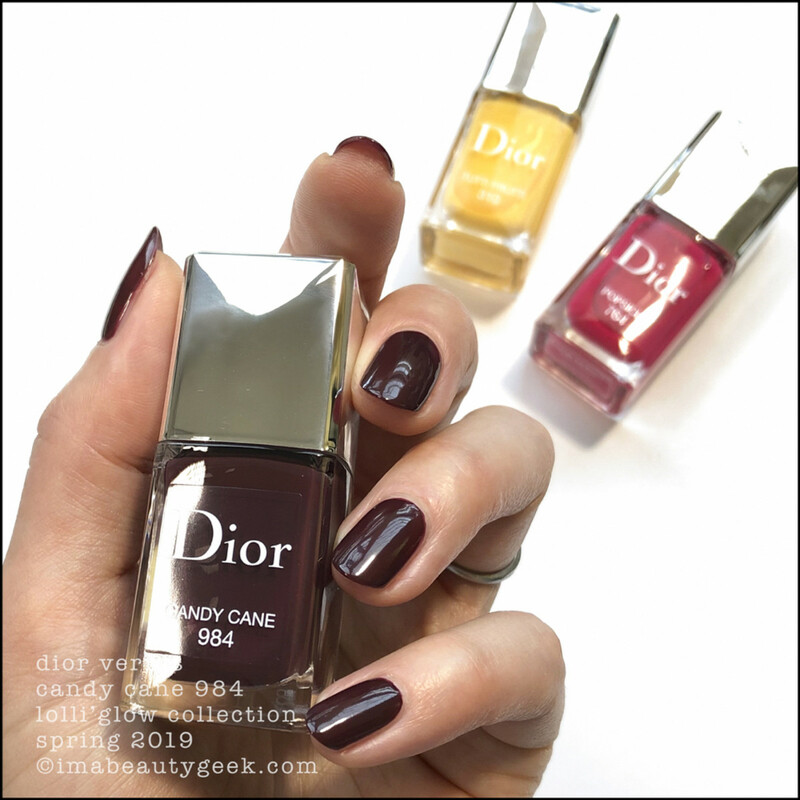 It could be that I’m just too overloaded by the amazingness that is Dior Vernis. Yeah, it’s probably that. Now let’s discuss how we feel about luxury polish and the tag that comes with it! 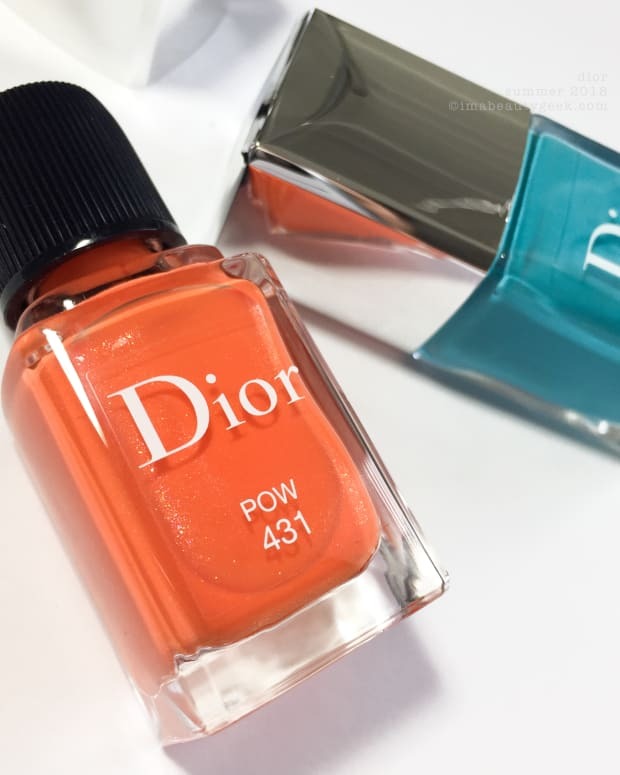 Do any of you have the kind of fondness I do for the perfection of Dior Vernis? Huh?